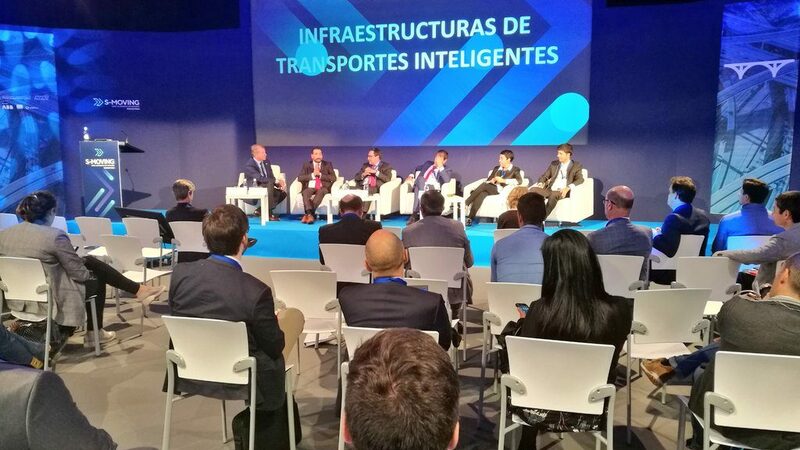 Ferrovial was at the first celebration of this event on Smart Vehicles, Self-Driving Vehicles, and Unmanned Vehicles presenting the Tunnel Curiosity project and participating in round tables. 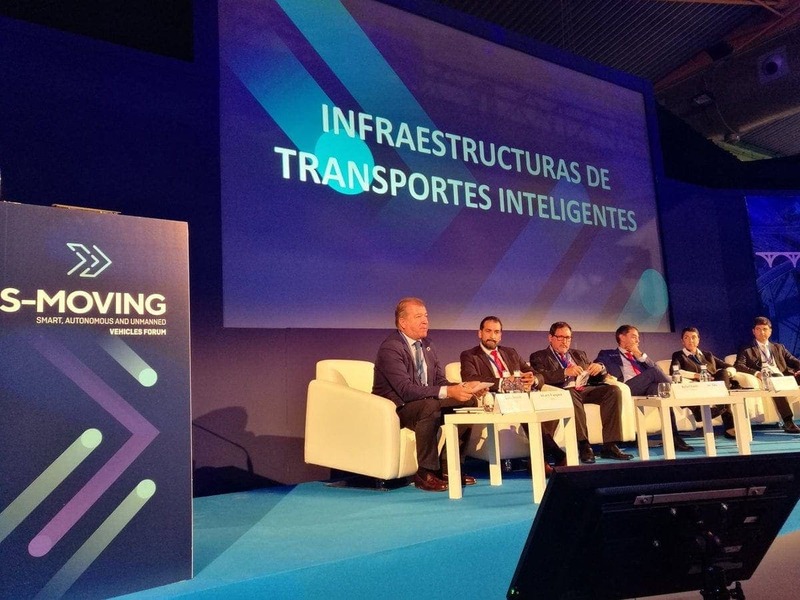 The first “S-MOVING 2018” Forum was held on October 17 and 18 at the Palace for Conferences and Expositions in Malaga, conceived as a leading arena for businesses, professionals, entities, and public administrations in the sectors for Smart Vehicles, Self-Driving Vehicles, and Unmanned Vehicles. The event was a meeting place for all agents, public and private, who are involved in the development and application of innovative technologies and systems applied to smart mobility that is autonomous, connected, and unmanned on earth, water, air, and space, with particular focus on the infrastructure associated with said Mobility. Ferrovial Agroman presented a stand where it showed the results of the TUNNEL CURIOSITY Project, and Ferrovial Corporation was present at the Round Table on “Smart Infrastructure,” to which director of the Fundación Centro de Innovación de Infraestructuras Inteligentes (Ci3, Center for the Innovation of Smart Infrastructures Foundation) Rafael Fando was invited. 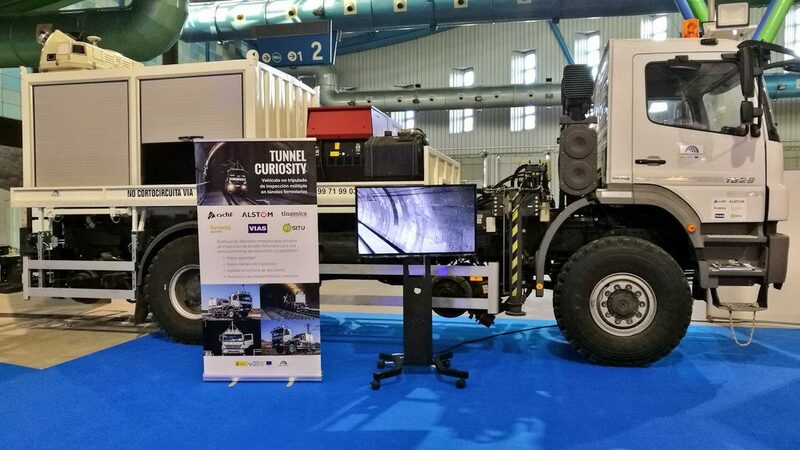 The project presented, Tunnel Curiosity, consists of a prototype of an unmanned truck that will facilitate quick, efficient, thorough inspections of railway tunnel conditions. The truck is outfitted to travel on roads as well as train tracks, as it has a second set of train wheels called diplorers installed under the chassis. These fold out when needed so that it can travel along stretches of railroad safely and comfortably. It also has all sorts of cameras and sensors, as well as visible and infrared lighting, to capture images and process them practically in real time, thereby detecting any failures or irregularities in the structure, alignment, and other aspects of the tunnel and tracks, aiding with maintenance and preservation tasks. The truck practically operates autonomously, though for security reasons an operator who is capable of taking control of the vehicle at any moment must be present. The truck reduces the time it takes for inspection by 80%, decision-making by 35%, and corrective tunnel maintenance by 15%, ensuring safety and improving the reliability of diagnostics. The project, led by ADIF along with Ferrovial Agroman, has been jointly financed by the European Commission, part of the program FEDER INTERCONNECTA. The Polytechnic University of Valencia (Universidad Politécnica de Valencia, UPV), the Center for Studies and Technical Research (Centro de Estudios e Investigaciones Técnicas, CEIT), the University of Vigo (Universidad de Vigo), and the companies ALSTHOM (mobile material manufacturer), VIAS (installer of electrical equipment), and TINAMICA (software development) have participated in it. In addition to that, at the Round Table “Smart Infrastructure,” moderated by the vice-president of AMETIC, several aspects of the role of transportation infrastructure as it faces the challenge of self-driving vehicles and new modes of mobility were debated. The transition from vehicles with drivers to self-driving vehicles will be long, and the main challenge will be preparing infrastructure so that this coexistence will be the best possible for users. Representatives of the engineering company INECO, the company ABB, the Andalusian Port Authority, and AENA (State Airports, Aeropuertos del Estado) also participated in the round table along with Fando. At this international mobility event, there were automotive manufacturers (Seat), aircraft manufacturers (Airbus), communications teams and technology (Samsung, Indra, GMV), universities and research centers (UPM, UdS, UdMa, UPV, FADA, Tecnalia), public agencies and institutions (ADIF, RENFE, ESA, IDEA, DGT, AESA), trade associations (AMETIC, ANFAC, AUVSI, AERTEC), and other private entities and businesses.